1. Why Am I Migrating from WPEngine to Traffic Planet Hosting? This week I decided to move all of my sites from WPEngine to a new hosting platform – Traffic Planet Hosting. I first heard of Traffic Planet Hosting from reading “Why Your Webhost Cannot Be Trusted – How WP Engine Hijacked My Business” by Matthew Woodward. I have been with WPEngine for a about 3 years now – always on their middle 99$ plan – mainly because I had more traffic than their bottom plan allows, and there was no incremental billing back when I signed up. That’s not to say my experience with WPEngine has been good all around – I had the occasional ticket left unanswered for 3 straight days and the like – but overall I had a positive experience with them. And – it has to be said – I will miss having a staging area for my sites. No – the reason I’m migrating is that the recent Panda 4.0 update has basically doubled my traffic – and I was already reaching the upper limit of my 99$ plan. With this new traffic – I would be paying about 200$ / month – and considering the fact that baeldung is a personal blog – that’s a bit much. To start off, I have moved one of my secondary sites over – www.craftycristian.com – to test the waters at Traffic Planet Hosting. Now – the first thing I was curious about when considering the move was speed – since speed was one of the main selling points of WPEngine. Keep in mind that WPEngine has a proprietary Caching/CDN solution – so using something standard such as the W3 Total Cache plugin was not an option. After the migration, I of course activated that plugin on my new installation. Also keep in mind that this is not load testing, just early numbers – I’ll follow up with additional data after my first full week of traffic. Obviously the WPEngine servers are in the United States, closer to New York than Dallas – overall, very respectable results. The WPEngine results are pretty consistent for the article page as well. Now – let’s how the numbers change after the migration to Traffic Planet Hosting. After the migration, I ran the exact same speed tests via Pindom – on the homepage and on the sample article (nothing else has been modified). 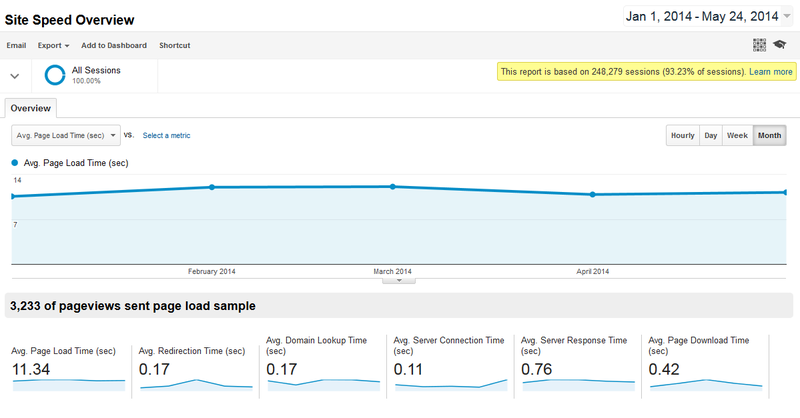 Overall, the results without caching are similar to the results I saw on WPEngine. Here we go – an overall ~15% speed increase from moving my sites – which is very nice to see. 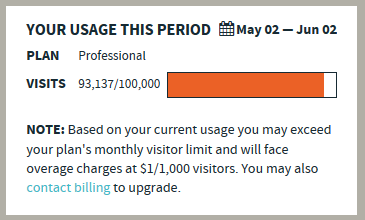 As you can see – I’m close to my 100.000 visits / month limit, and anything that goes over that is going to be charged extra. With my current traffic spike, baeldung alone is going to get just shy of 200.000 visits next month – which will result in a 200$ bill. And since the Traffic Planet Hosting plans are not based on Visits but on Bandwidth – I’m falling below even their 24$ / month plan – which at the time I’m writing this, is capped at 50 GB / month. That’s 8 times cheaper than what my next month will cost with WPEngine! Now – I’m probably going to move to their 49$ plan – just to not worry about the traffic and bandwidth – which is still a good 4 times cheaper. I mentioned at the very beginning of this article that I’m testing the waters with Traffic Planet Hosting. The water’s great! Are you still with Traffic Planet Hosting? Yeah, I’m not using TPH any longer. I had a problem with their support – basically, the site went down and I couldn’t get a hold of them for quite a while. I just needed to restart, but yeah – on these kinds of issues, you do need support to be quick and respond – which they didn’t (at least in my case). Why are you moving off Websynthesis? Yeah, both of these platforms have pros and cons, definitely. WPEngine is still a solid platform, but I did run into problems with their support. It looks like they hired a few very junior people and just threw them in the deep end. That being said, it might have been a few isolated incidents, who knows. I’m running my site on Kinsta right now – they’re pretty solid as well.